The environment that a coach creates, and the relationships formed with players, is the bedrock of performance and achievement. Coaches who are able to deliver students of the game, and who are able to help players execute skills and tactics under pressure are the future leaders of the world’s most loved sport. Soccer Brain teaches coaches to train players to compete with confidence, with commitment, with intelligence, and as part of a team. The positive messages from each chapter of Soccer Brain help coaches to develop players through patience, repetition, reinforcement, re-appraisal and high value relationships. Soccer Brain is for the no limits coach. It’s for the coach who is passionate about developing players and building a winning team. This is not a traditional soccer coaching book filled with drills or tactics or playing patterns. This book is about getting the very best from you, the coach, and helping you develop a coaching culture of excellence and world class football mindsets. A Creative Culture: The creative coach has a relentless thirst for knowledge and a will to help players develop and high perform. This section provides the philosophies that will help coaches become more creative in their approach to the challenges their players face on the training pitch and on matchday. A Confident Culture: The confidence coach is one who will get the best out of players, who will help them cope with the demands of failure and defeat. Thinking, movement and technique become undermined by self-doubt and fear of failure. The 21st century coach is one who has simple but powerful techniques to help players overcome these mental hurdles. A Committed Culture: The coach of commitment develops players with ruthless mentalities. The ability to teach players how to compete in the right mental state is a crucial determinant of coaching success. This section incorporates psychological theory and brain science to give the coach a blueprint for match commitment and world class training mindsets. A Cohesive Culture: The coach who can develop a feeling of togetherness will win soccer matches – a lot of them! Football is a team sport and it is group cohesion that creates a true team: a unit that is more than the sum of its parts. It is the coach who creates this team environment. This section will teach a coach how to create a truly cohesive footballing culture. Dan Abrahams is a freelance sport psychologist who specialises in soccer. He has spent the past decade working with some of the leading soccer players, teams, organisations and governing bodies globally. He has held contracts with leading clubs in the English Premier League and some of the top managers and coaches regularly use his techniques to drive their coaching culture and team building processes. Dan’s passion is to de-mystify sport psychology and deliver simple and practical ideas to both players and coaches. He is a regular speaker at soccer conferences across Europe wowing audiences with his engaging, upbeat, positive and fun presentations and workshops. 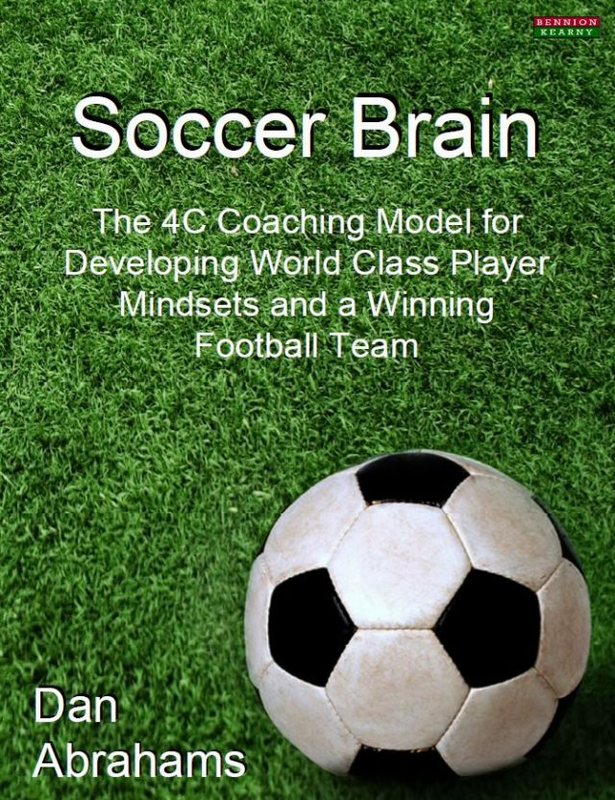 Dan has spread his soccer psychology philosophies across the soccer globe by using social media and his mindset techniques are now used by players and coaches across Europe, the USA, the Middle East, the Far East and Australasia.